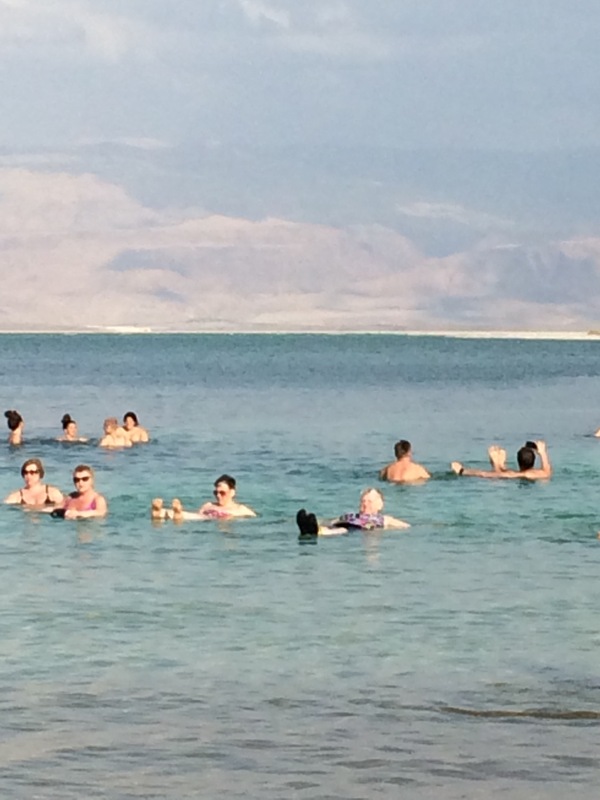 Today we set out from Ein Gev toward the Dead Sea. 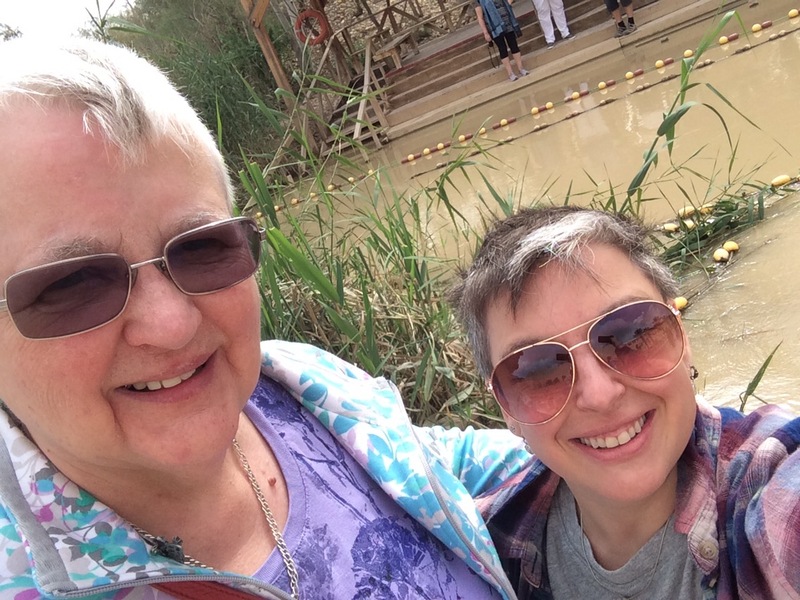 We made stops at Qasar El Yahud (the site where Jesus was baptized), went to Qumran where the Dead Sea Scrolls were discovered, stopped in at the Ahava factory outlet and spent the afternoon enjoying the therapeutic waters of the Dead Sea. I have been continually impressed during this tour by the theological depth of the comments made by our excellent guide, Avie Gad. He has often shown me things I hadn’t understood before about some of the sites we have been visiting. He has often made connections between the Old and New Testaments that I hadn’t made before. Today was no different. “And the LORD said to Joshua, “Today I will begin to exalt you in the eyes of all Israel, so they may know that I am with you as I was with Moses. So when Joshua crossed the Jordan, the waters parted and the people walked across on dry ground. So Elijah stuck the water with his cloak, and the people passed over on dry ground (later after Elijah went up to heaven in a chariot of fire, his apprentice Elisha struck the water with his cloak and again the water parted and he was able to cross on dry ground). While the prophets are powerful and able to perform miracles, Jesus is different. And he is identified as different in the same place that Joshua, Elijah and Elisha parted the waters. The Heavens part for Jesus in this place of miracles and the voice of God declares that Jesus is His son. What a beautiful thing to learn in such an amazing place. This Lent, may God lead you to new learnings. And may the things you discover deepen your faith and strengthen your walk with God. 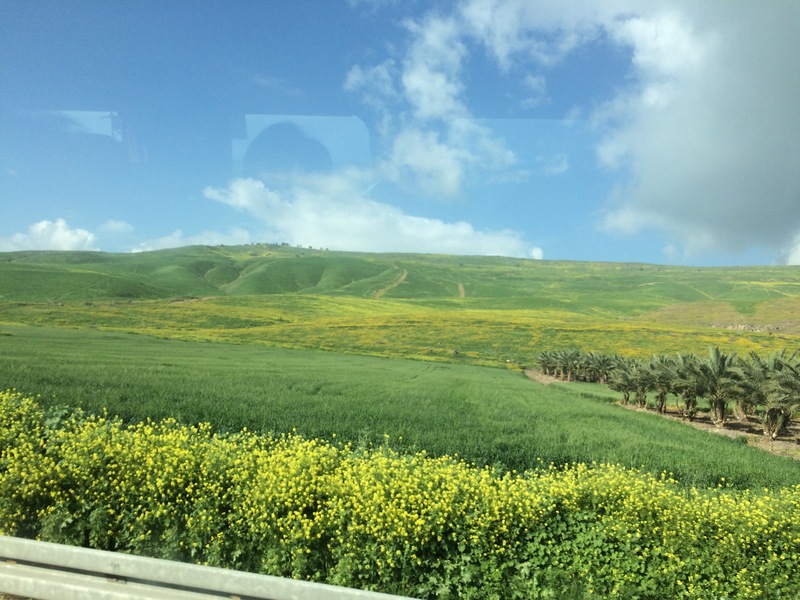 Above: Leaving the green and fertile Galilee. I have never seen so many flowers in this country! Above: Selfie with my Mom. You can’t tell in the picture, but my feet are in the Jordan River! 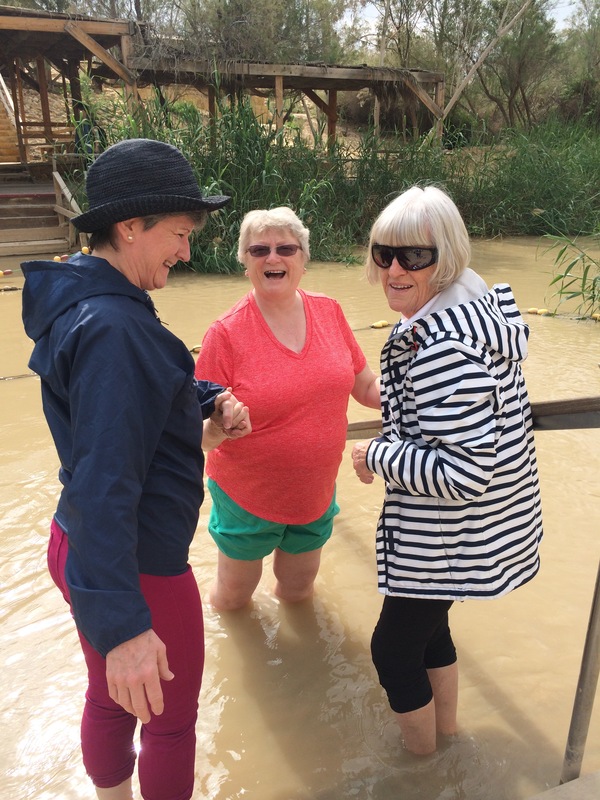 Above: Presbyterian women with their feet in the Jordan River (left to right: Nancy, Sarah and Grace). 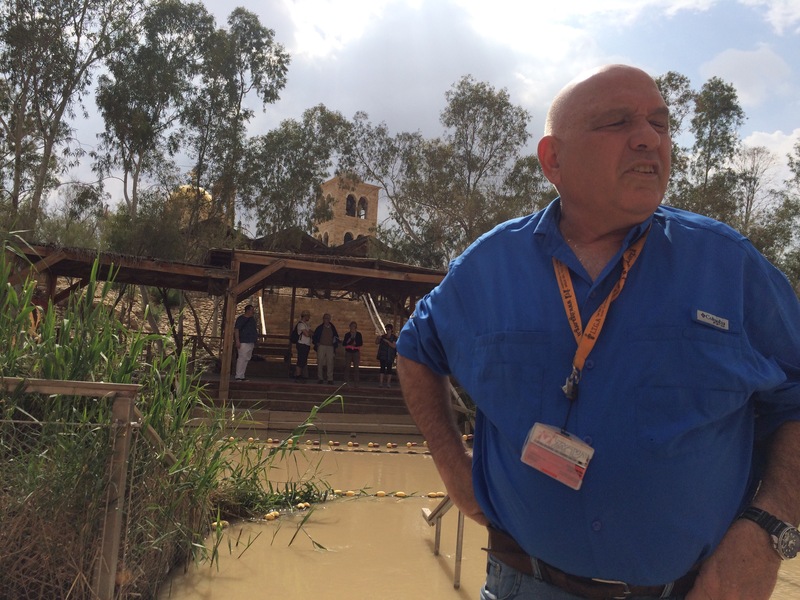 Above: The awesome Avie Gad teaching us all at the Jordan River. 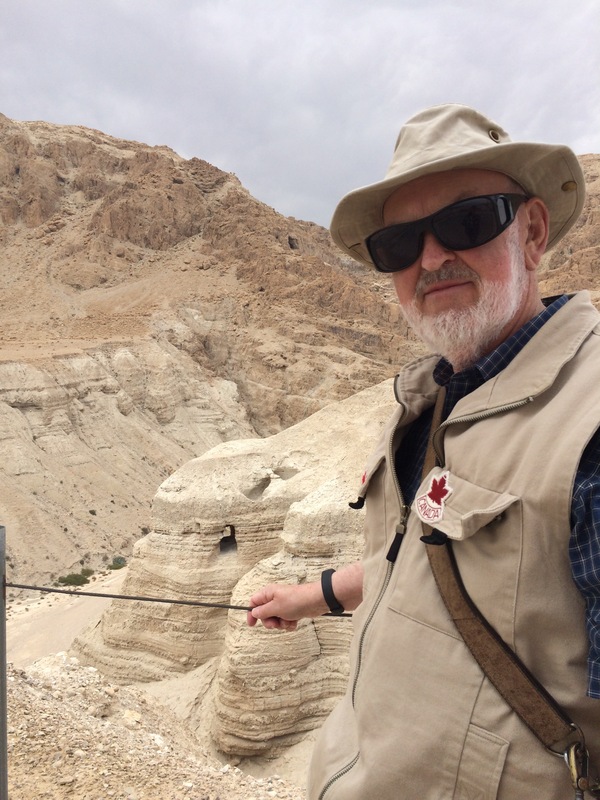 Above: Dad with the cave of trh Dead Sea Scrolls in the background at Qumran. 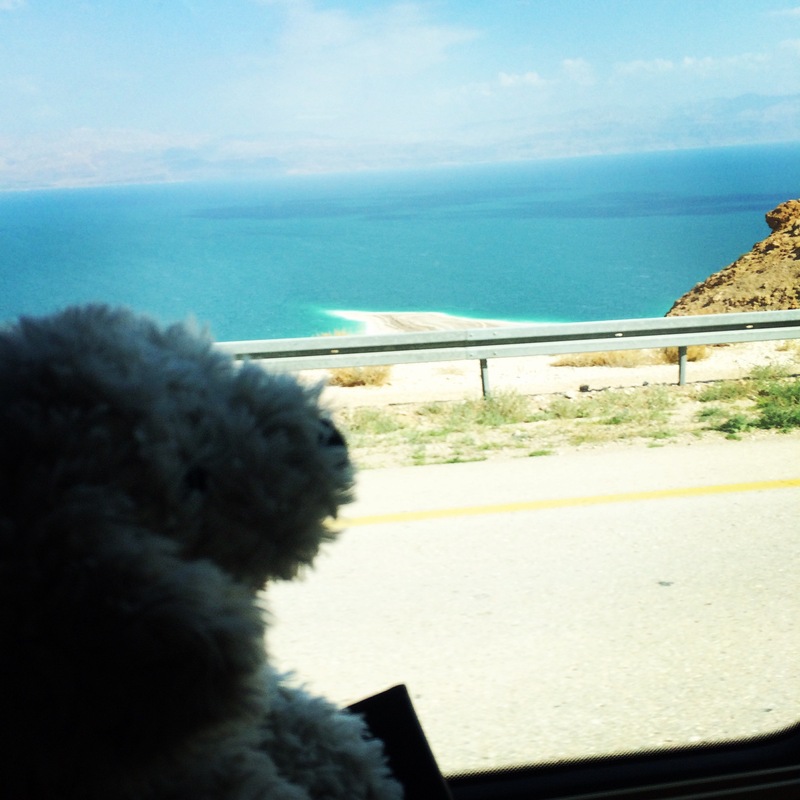 Above: Fuzzy Angus on the bus, looking at the Dead Sea. 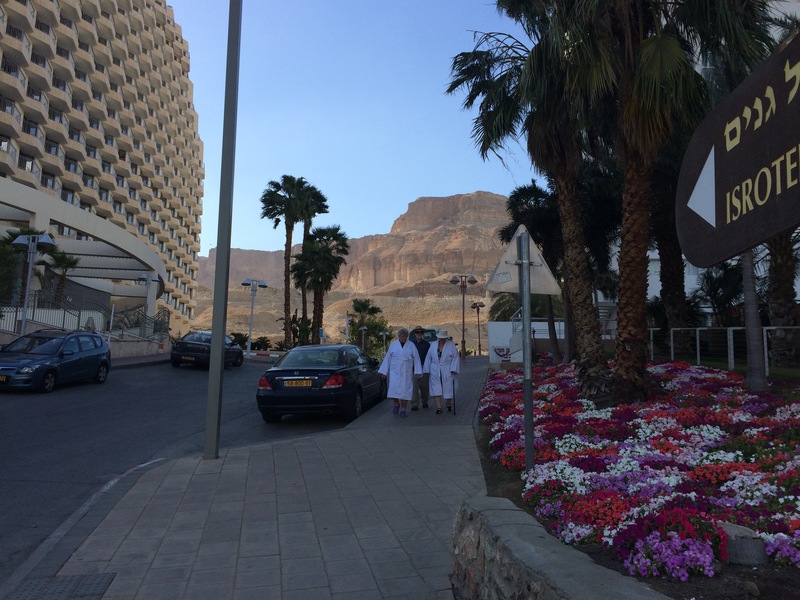 Above: walking down to the sea from our hotel with the desert cliffs in the background. 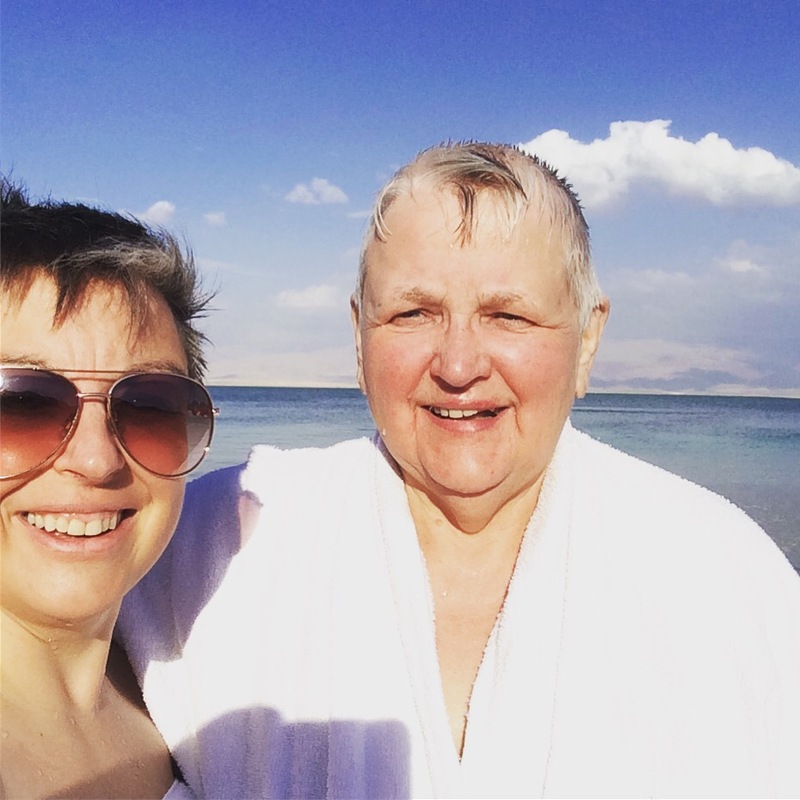 Above: Mom and I floating in the Dead Sea. Above: Selfie with Mom at the Sea. 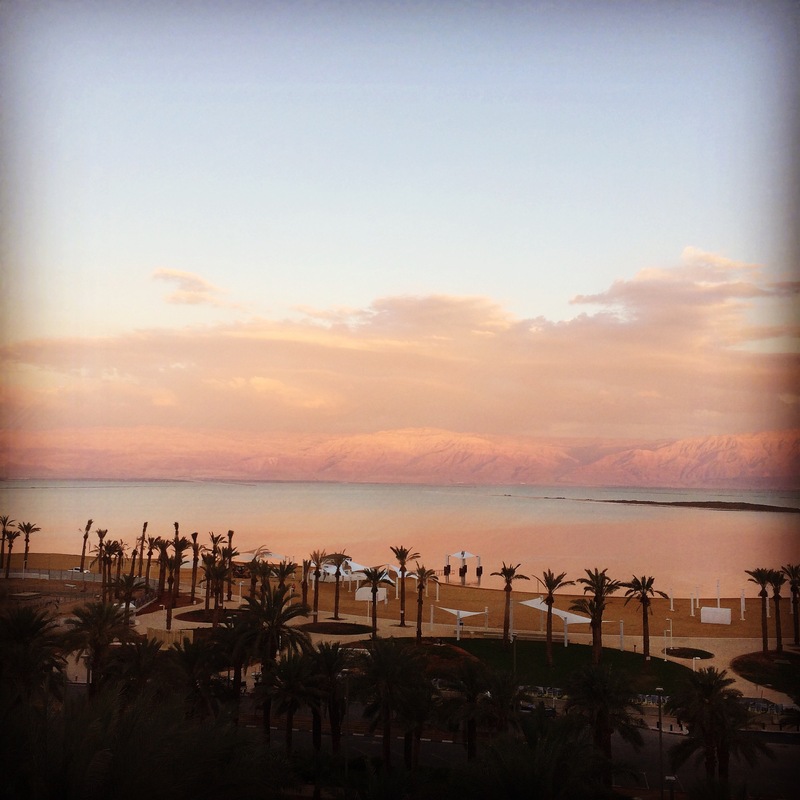 Above: Sunset view of the Dead Sea from my hotel window.